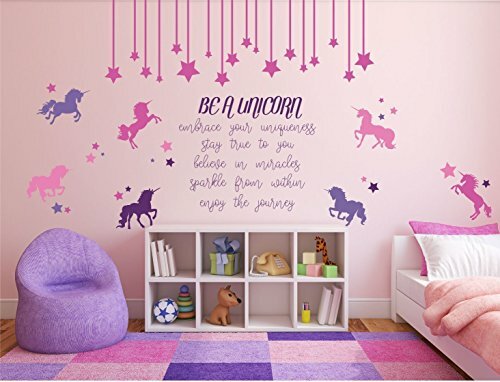 Become an interior decorator and transform your space from ordinary to extraordinary by adding color, fun and individuality with this amazing wall sticker. It is made of a high quality, waterproof and durable vinyl and will stick to any smooth surface such as walls, doors, glass, cabinets, appliances, etc. It is removable and won't damage your walls! Just use this decal to show your style in minutes! Moreover, this decal also makes a great gift for your friends or families who enjoy decorating their homes. Steps: 1. Select a place where you want to put this wallpaper on. Please ensure that it is smooth with no convex and fold. 2. Clean the surface with a clean cloth. 3. Peel and stick the wallpaper, smoothing out and compressing from the middle to both sides. Note: The real size depends on the product. The picture just offers a reference. Seller warranty description The product is guaranteed for non-compliance at delivery, please contact the seller to replace the defective product before applying it. We don't make replacements of products due to errors in the application of the adhesive from the customer. 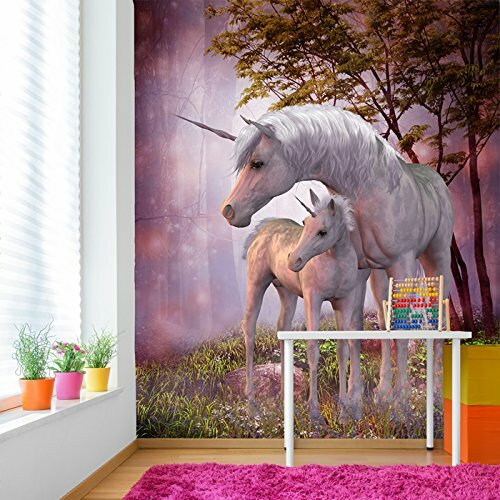 Liven up your kid's room with this set of colorful unicorn wall decal pack. 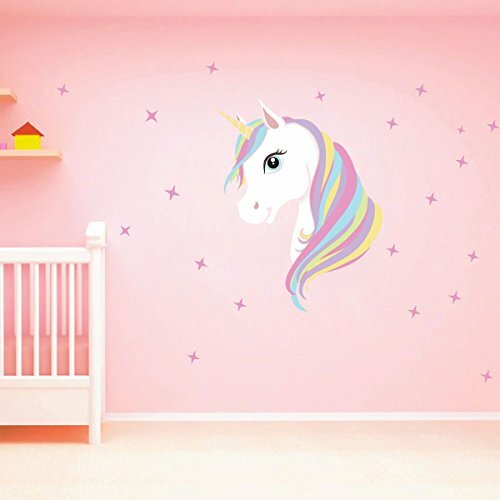 These pre-cut wall decals are ideal home decor stickers for decoration of nursery, playroom, baby room or kids room. About the decals are made of a high quality, waterproof, and durable vinyl that totally meet environment protection standards. Add your own style while applying, the product comes in multiple pieces that can be applied in any way depending upon wall and your imagination. Go creative impress your friends, family and guests with lively, beautiful walls. This decal is also a perfect gift for friend or family who enjoy decorating their homes. - 1 sheets of 23.62 x 35.43 inch - safe for kids non-toxic - easy to remove & reposition with no sticky residue - use for decorating nurseries. Plan out the design, you can apply as shown in picture or any other way that you deem better - prepare your wall/surface: Clean it with dry cloth if necessary. The decal will stick to any smooth surface - peel & stick. 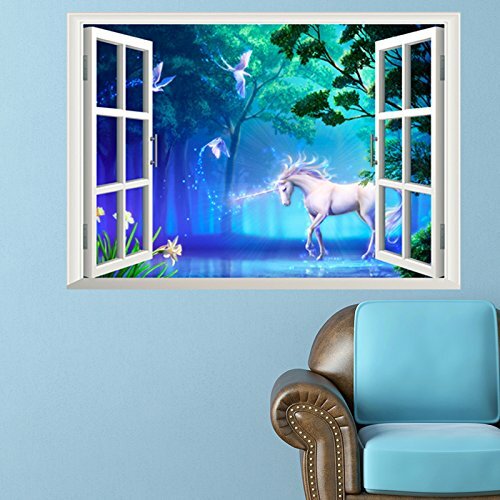 Set Include: 1Pc Wall Sticker Condition: Brand New Material: PVC Color: Colorful(as pictures show) Size: 36 x 60cm/14.0 x 24.0 inches Product Description: Cartoon Style Unicorn Wall Stickers for Home Decoration. 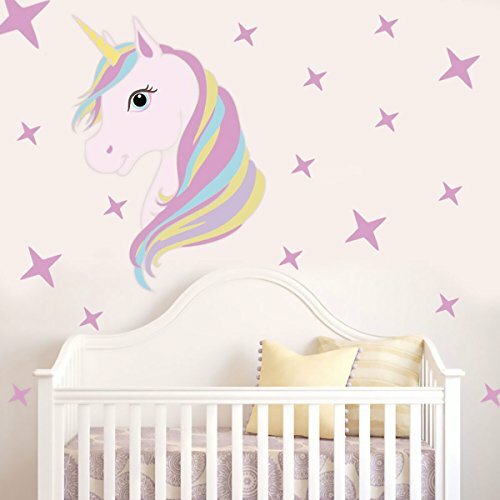 Beautiful pink wall decals feature a unicorn pattern and stars design. Easy to apply and remove without leaving any residue. Not suitable for dirty or rough surface. 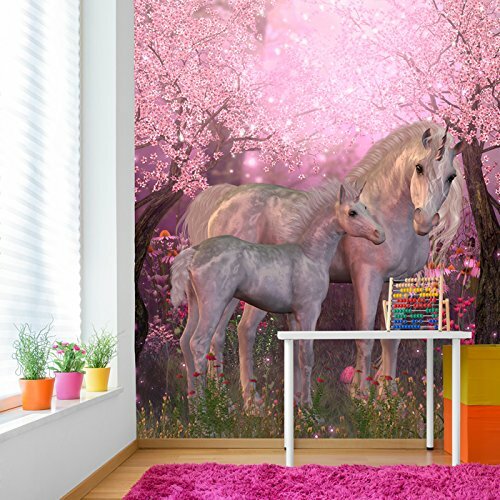 Suitable for bedrooms, living rooms, playing rooms, nurseries and home decor. 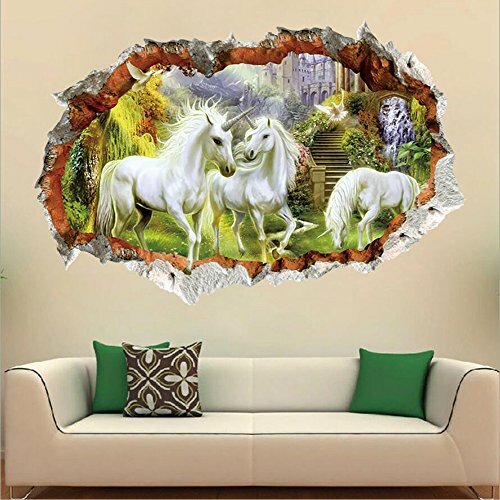 Looking for more Unicorn Mural similar ideas? Try to explore these searches: Interior Room Dividers, Contemporary Rail Support Adapter, and Joseph Joseph Chopping Board. 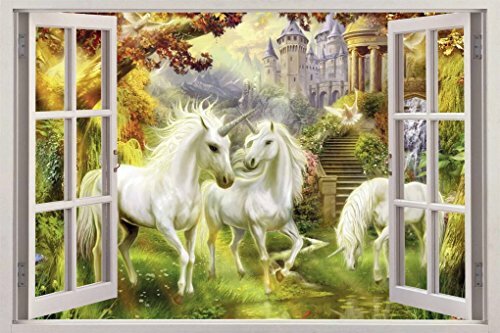 Look at latest related video about Unicorn Mural. Christmas surprise mural 16 hours to complete. Shopwizion.com is the smartest way for online shopping: compare prices of leading online shops for best deals around the web. 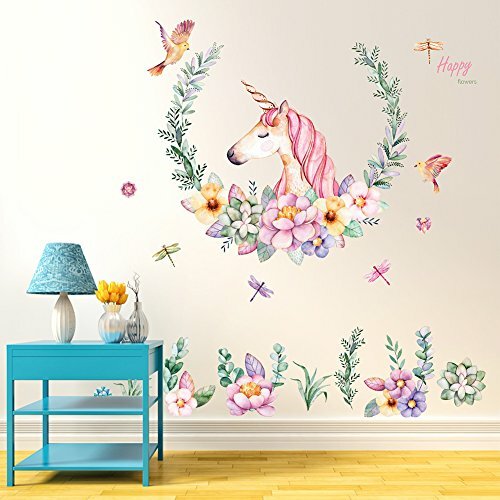 Don't miss TOP Unicorn Mural deals, updated daily.